New members can use this topic to introduce themselves to the rest of the Berth Holders' Association. Hi Alex, on the opening night i offered my services to take over your rolas you requested but i havent heard anything. Location : All over the place! Julie here who took down your details on the night. I passed them on to Simon (pr@bmbha.org.uk)) at our committee meeting last week who should be contacting you soon to arrange a meeting with the four of you who will form the web management team. Your offer is really appreciated and we shall definitely be taking you up on it. Re: Teak deck info --that was me Julie (capt'n Jac)! Good this BMBHA, isn't it! Sorry for the delay in getting back to you. We're looking forward to your help with web maintenance, and Alan, who is also on the web team, will be calling you soon to fix a time for us all to meet. Hopefully during next week, but we'll juggle the dates until it fits everyone involved. Thanks again for your offer of help - we will be needing it! I'm new (well, sort of...) on the forum. For those of you who do not know me I'm the French man who helped out setting up the website and the forum last year. 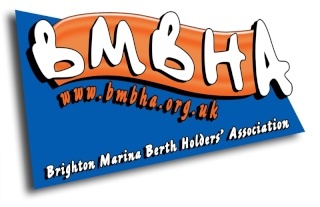 As I am back in Brighton I thought I'll sign in the forum as I am a BMBHA member too.